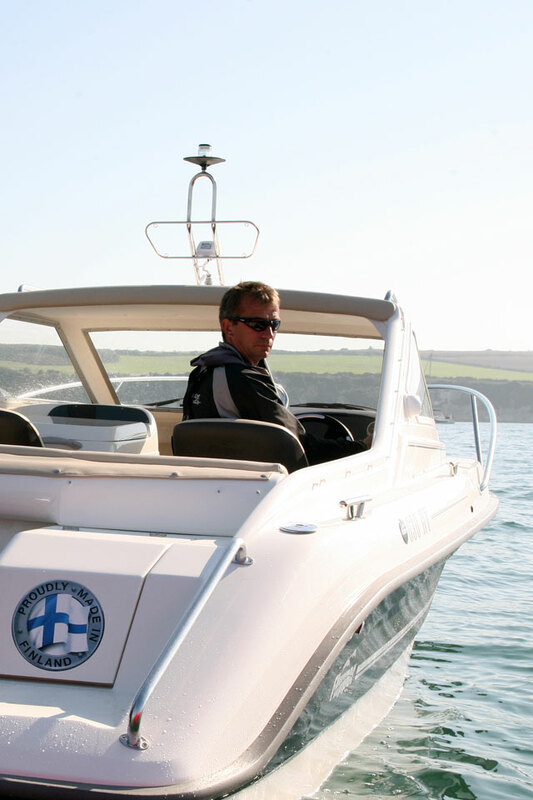 If you want a versatile four-season vessel, a Scandinavian hard top day boat is a great place to start. Before we get down to specifics, it is worth noting that one of the greatest assets in the armoury of any Flipper is its upbringing. 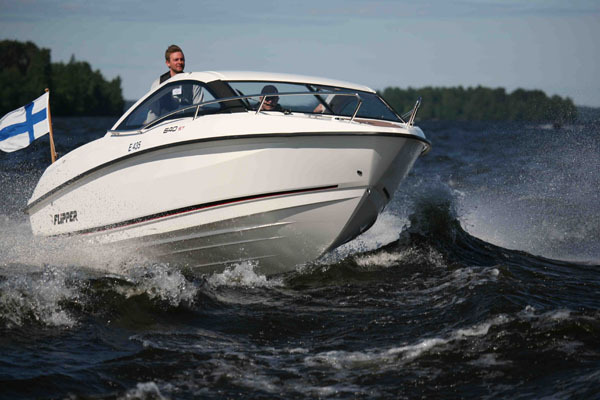 They are designed, built and tested in Finland, where boat ownership is not just a casual pastime, but a way of life. It is a place cut through with a thousand waterways and peppered with countless islands - a place in which people know their boats intimately because they are so very accustomed to using them. 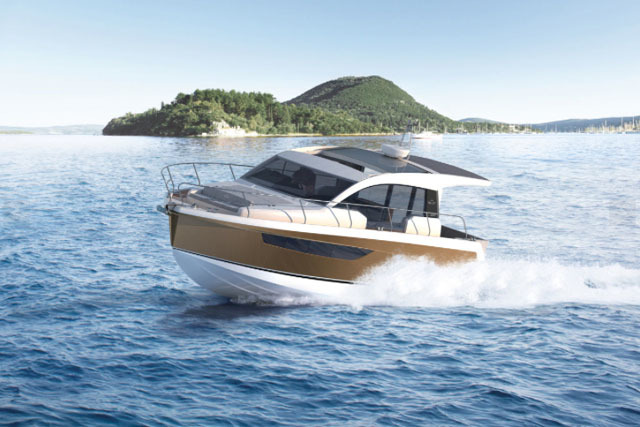 The moment you look at the layout and features list of the 630 HT, it is plain that this boat has been exhaustively tried and tested. You get a substantial guardrail, not just around the bow but also on the hardtop roof to aid your movement around the lateral walkways. 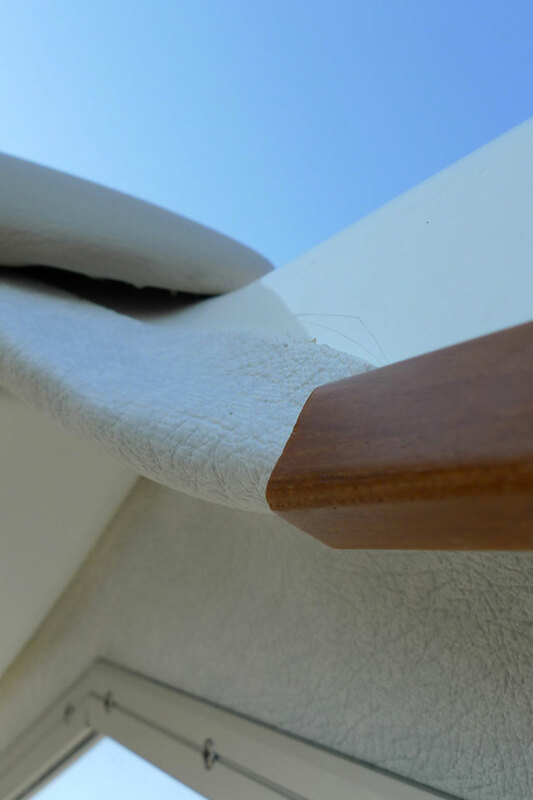 You also get a well-cushioned rim at the aft edge of the hard top (all too rare on a boat of this type) to prevent you cracking your head as you make your way forward to the double berth. 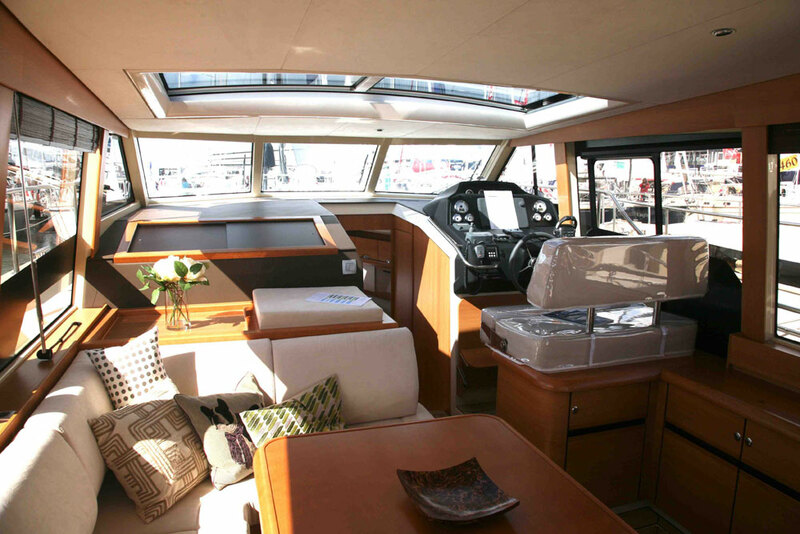 Other key elements of this common sense approach include a serviceably flat foredeck and a deep safe cockpit, plus lots of cleats and plenty of useful storage spaces. You also get twin windscreen wipers on that big wraparound screen as part of the standard fit-out, plus a quick-erect bimini top concealed beneath the backrest of the aft bench. 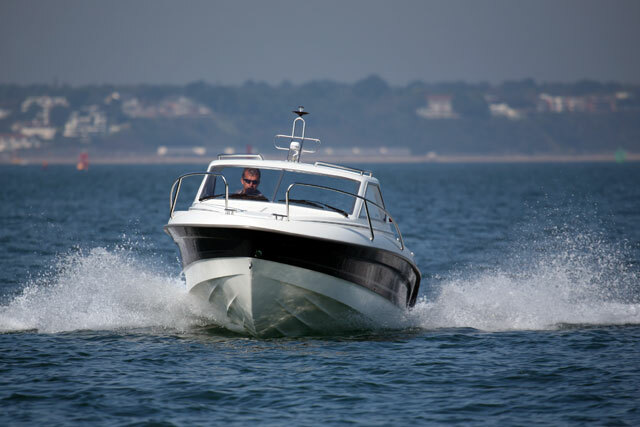 That is a very traditional Scandinavian touch, born of a serious four-season boating ethos and it works very well indeed for the hardy UK boating enthusiast. The hard top provides good protection. Evidently, the practical considerations are well catered for, but so too are the more fluffy leisure-based concerns. This is a small planing craft so it needs to work hard to make the most of its available space without paying too great a weight penalty - and the 630 HT achieves that by keeping things very simple. Beneath that foredeck (and still pleasantly open to the helm station), you get a spacious U-shaped seating area that converts into a double berth. It is easily sufficient for some concerted weekend trips away and if you buy the optional Wallas stove which sits forward of the co-pilot’s seat, you can enjoy not just cooking facilities but also the luxury of hot air piped around the internal spaces. Rigged like this, it is a fantastic space. In some areas the design isn't right - like this cheap looking plastic trim. However, there is some clashing of fabrics in here. Above the window, there is some rather cheap looking white plastic trim with the texture of pitted skin - and that’s thrown together in very close proximity with the grey of the dash, the white of the GRP, the rich, glossy brown of the teak flooring and the peculiarly furry suedette shagpile of the internal upholstery. It’s not garish, of course, because Scandinavian craft very rarely are, but a bit more harmony in the choice of materials would be good to see. Happily, further aft in the open section of the boat, the broad cockpit is commendably uncluttered and very easy to enjoy. 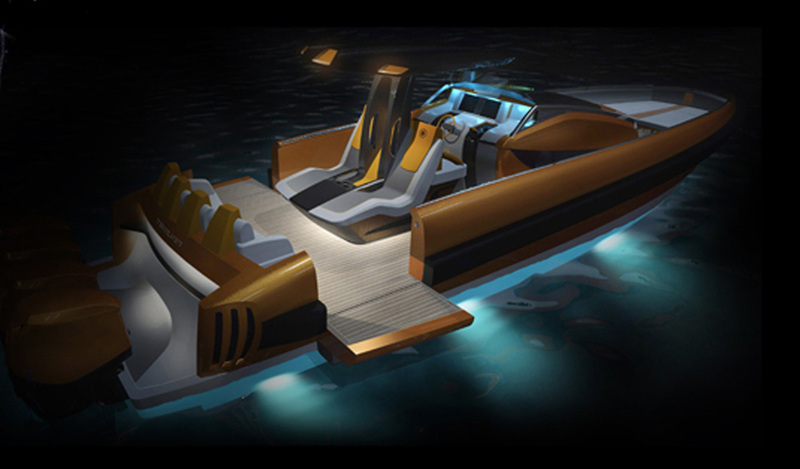 You get a traditional layout here, with a three-man aft bench and a pair of rotating bucket seats at the helm. This means that, with the cockpit table in place, the helm seats reversed to face aft and the swinging canopy clipped into place, you are rewarded with a sheltered area for five to gather in comfort. And better still, this can all be achieved with nothing more than the features supplied as part of the standard package. 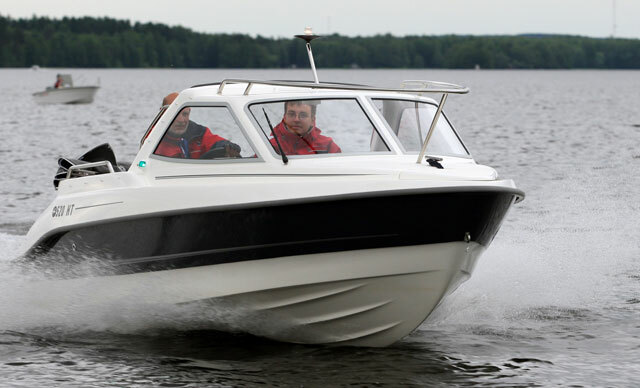 Equipped with a 100hp Mercury four-stroke outboard engine (which is at the bottom end of this boat’s power rating), the 630 HT still goes very well. The time to plane with two men aboard is not exactly quick at around five and a half seconds, but it is adequate for general recreation. And once up to speed, the ride is soft and very predictable, and the hull makes good use of the available power, with almost 40mph on tap. 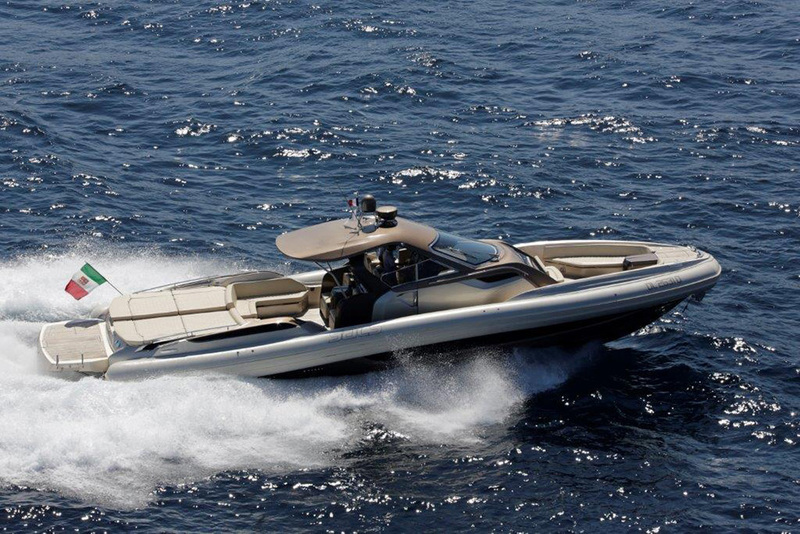 The shape of that Hard Top structure, which stops forward of the helm position and uses impressively narrow stanchions, provides very good visibility, even in the turn. And there is none of the reverberation that you sometimes get when the forward mouldings trap and amplify the noise from the engine. 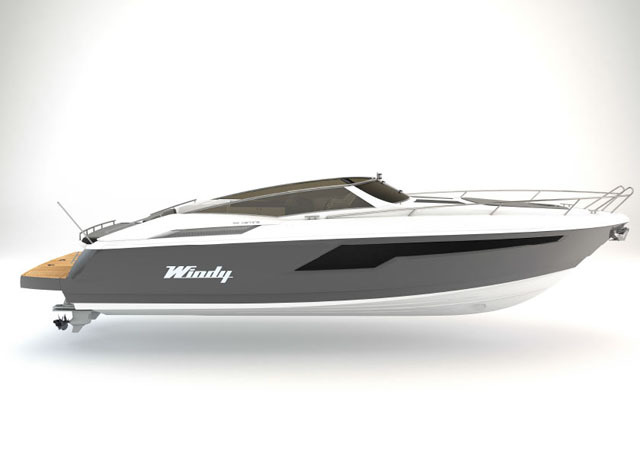 Instead, the damping effect of the cushioning fabrics, allied to the Hard Top’s raked shape and the outboard’s undoubted refinement, make this a very comfortable and relaxing boat to drive. This is a very easy boat to enjoy right from day one. It is simple to drive, safe to use, and usefully versatile for a large family. 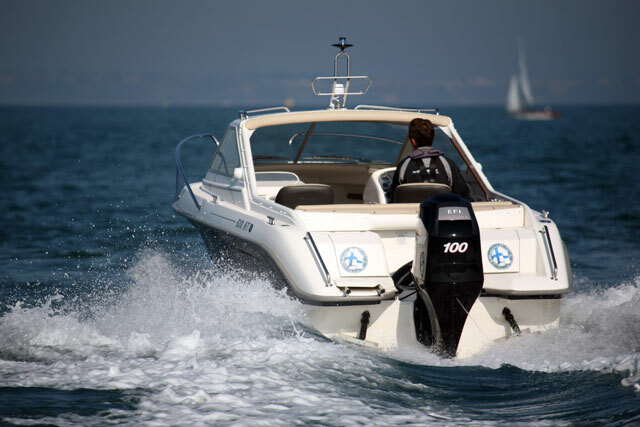 With the 100hp outboard, it is very efficient but if you want to add watersports to your inventory of leisure pursuits, you will need to spec an engine closer to this boat’s 150hp top end. And if you also invest in the Wallas stove and heater, plus an electric bilge pump to supplement the manual one, you are well set for a life of year-sound entertainment. Did you really expect any less? For more details on the Flipper contact T L Harvey in Darlaston, West Midlands WS10 8LJ, telephone 01215 688837 or see Flipper Boats.